New Survival Game: "The Green Hell"
the niche market known as survival sandbox games as seen a flood of new survival games the past few years. All of them... Drawing from eachothers ideas and expanding on them a little bit more. 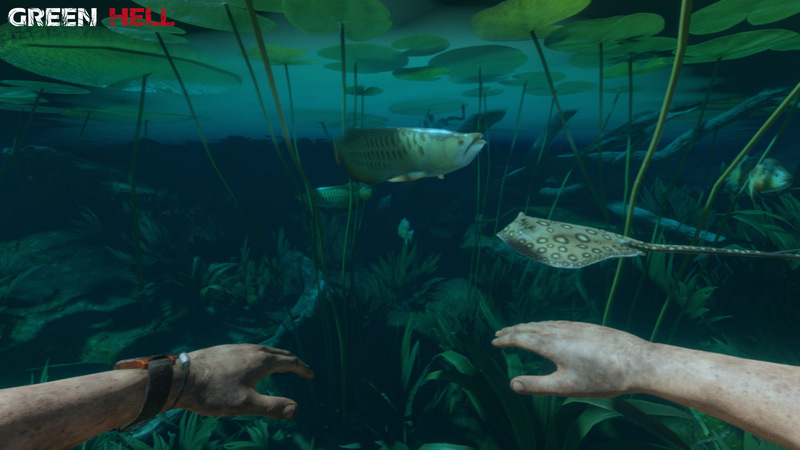 Green hell however, takes the idea of surviving on an island alone, and expands it into a much more realistic way. "We live as we dream.... Alone. But, if the dream dissapers, the life continues painfully. If anybody had ever struggled with a sole... I am that man. I had gone so far that i dont know how i'll ever get back. And if so, I will NOT be the same." video game comeing soon to PC's everywhere thru the valves steam platform. 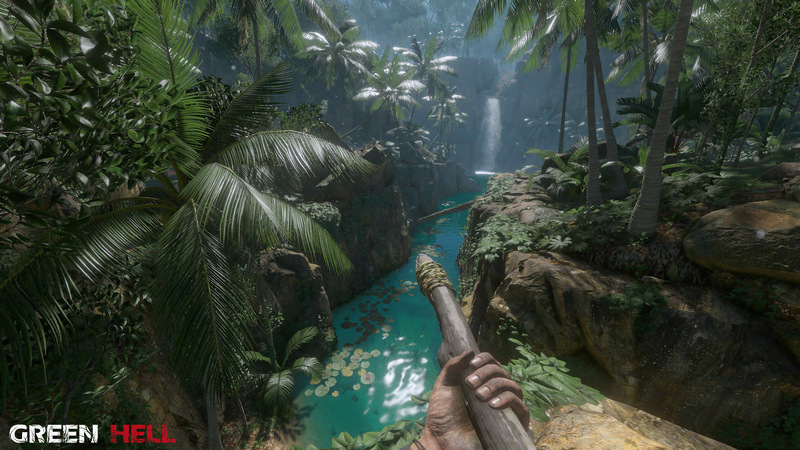 Basically, if you ever want to train to survive in a rainforest alone, this would be a good game to prepare you with. I like how it tries to teach you various things about the rainforest and its enviroment thru... trial and error. Learn what fruits are good and what are posionus by eating them. 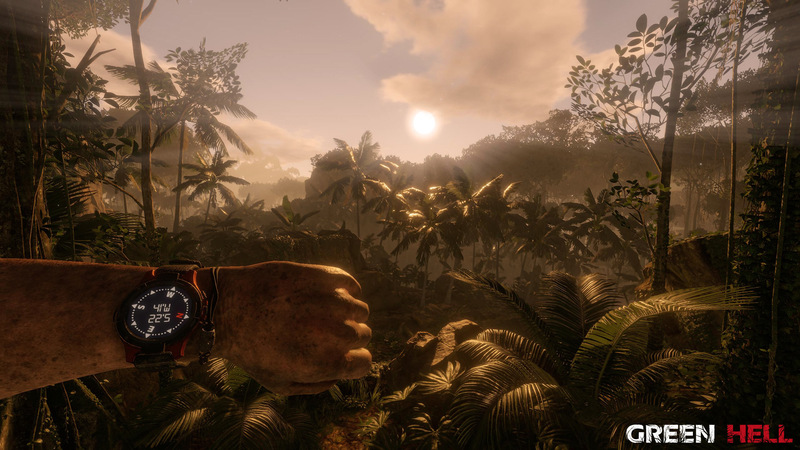 The graphics remind me of treking thru the FARCRY 4 island. very lush, tropical. Very green and beautiful. But, there is a lot of real danger lurking under the surface. From snakes, to big cats they prey on you .. even to aligators hiding in the riverbeds. Not to mention you have to deal with your own mental health of being alone in the jungle. One thing i really like is the way the menu works. Instead of the tradional RPG style iventory menu you see in most games like fallout, farcry, arma.. and pretty much all others.. The menu is instead presented in a much more visual and realistic way. Everything is on your backpack. You take it off your back and can see your collected sticks, weapons, tools, food,items. Everything is put away inside various pre-designed sections of the backpack. Though, in the gameplay demo i watched this seemed to get very annoying to me as the demo player kept having to go back and forth to the backpack to grab items, or put items away, or.. swith tools or.. whatever. Seemed like there was more item and backpack monitoring that actual exploring of the island. Crafting is done in a crude but visual manner. You’ll open up your inventory and place objects on the crafting slab. If the items you combine can make an item, it will become highlighted on the screen. Once you figure out how to craft yourself a weapon you’ll be able to hunt animals. 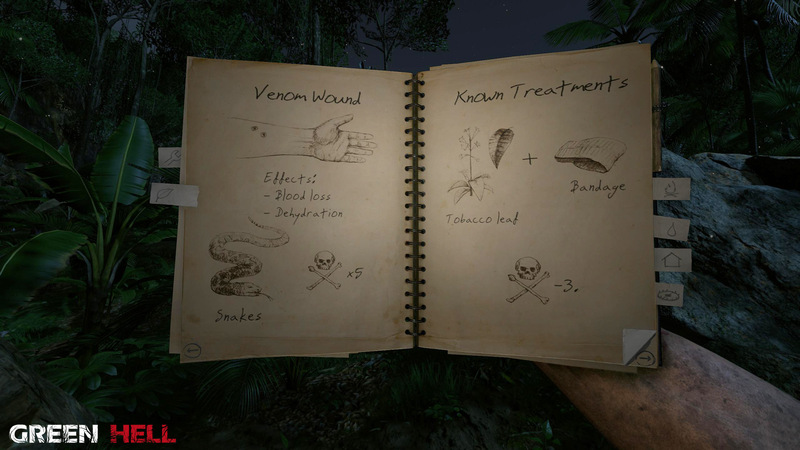 Hunting animals will also open up the ability to strip them of their meat so you can eat it, and peel out their bones so you can use them for a number of other crafting purposes. Green Hell requires you to go through a painstaking process to create fire, which makes the end result of actually starting the fire not an learning experince but a satisfying experince as well. there is a lot of ...micromanagement in this game. Which makes green hell a survival game designed more for those niche players that dont really like to explore so much as the want to try and survive. I think green hell could be a great game for a VR experince if it manages to go that route.Me personally, im not into the major micro management of it all. idea of running into the natives (real natives) makes it a lit more.. scary in interesting as well. There sooo much micro management though, that you will likely find yourself going to the journal often to learn how to start a fire.. or craft a spear again.Honestly, I think green hell might be a little too realistic for its own good. Green hell is set to release sometime in the Summer of 2018 on the steam platform. Its definantly one to put on your wish list and watch to see how it shapes up.